i saw some of these on the back of a '90 accord the other day. BUMPER NUTS hanging off the hitch. and powder coated to perfection. Just look how a set of Bumper Nuts turn this ordinary Subaru into an awesome driving machine. 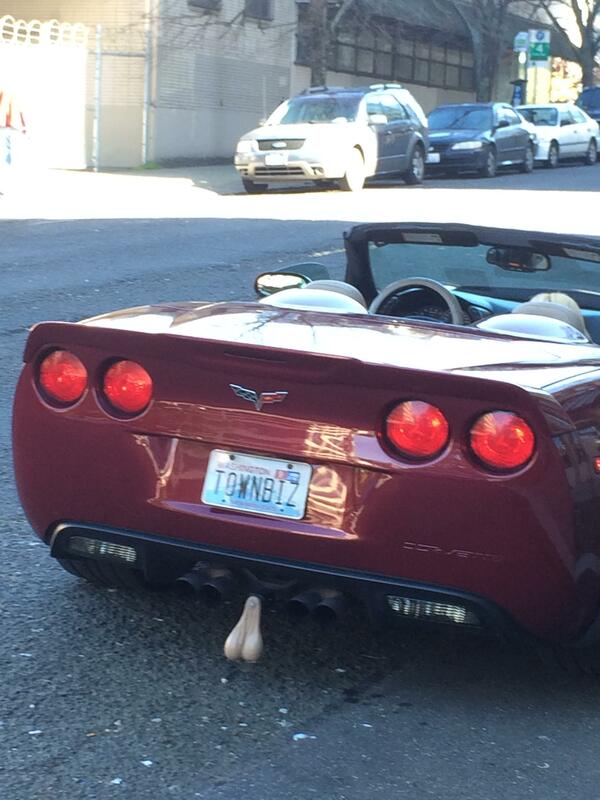 Nothing shows that you got a pair of big balls like hanging some Bumper Nuts from your car bumper! 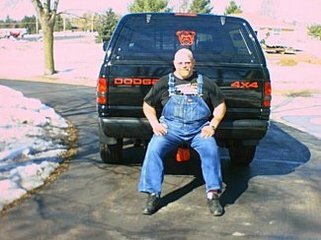 What is the ultimate truck accessory for any Truck, Car, Motorcycle, or Buggy ? Click here to get your nuts!!! 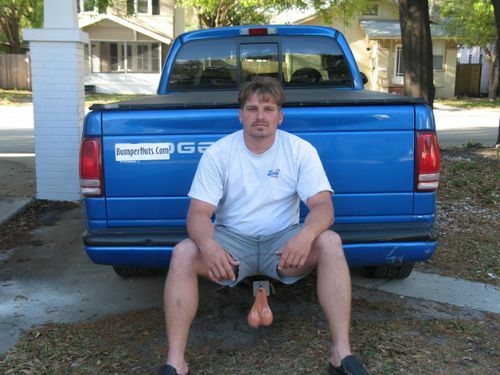 Slap a pair of these flesh nuts on any kind of vehicle. You will certainly show the world who owns the road. A day of crusin around on your motorcycle is just not complete unless you have a pair of hawg nuts hanging off the back for everyone to see. Nuts on your motorcycle hitch. Chrome Balls. Women love a man with a nice big one pound solid set of nuts slapped on the back of their Harley! You can even have nuts hanging off off your Atv. Its Great for mudding with the 4x4 off road. 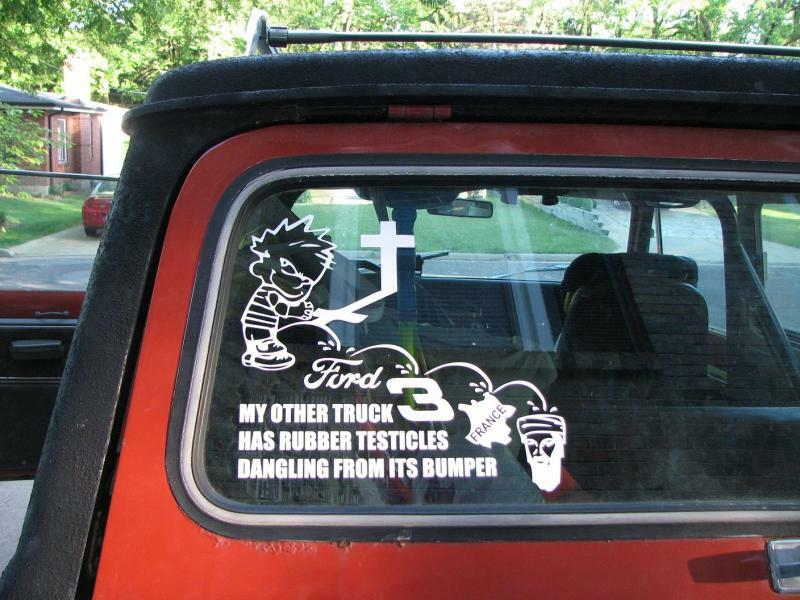 Bumper Balls make the greatest truck accessories. Sneak these on your friend, husband, boss or even your wife's car. You must know someone who needs some balls! Brass Balls weigh 3 pounds and are pure brass nuts! "I've got brass balls baby!" Now if you don't want to hang these on your truck, then they do make a great paperweight. I tell people to rub the balls for courage when they go to court. I call them power balls. Pretty sick, eh? Some folks buy the brass balls for the boss. Great Gift for any CEO. Click the Swinging Nuts to order now! ANY HOBBY SHOP HAS THE CAMO ENAMEL PAINT LITTLE BOTTLES AND COSTS ABOUT 4 BUCKS. REMEMBER THE PAINT YOU USED TO USE TO PAINT YOUR LITTLE DIE CAST AIRPLANES. YOU CAN CAMO YOUR NUTS YOURSELF. People in Army would just love these novelty nuts. These truck accessories are so sturdy. Made of aluminum and powder coated, show the entire Platoon that you got nuts. Camaro, Jeep, Motorcycle, Snowmobile, SUV, Atv, 4X4, Cadillac. I am telling you people love these Nuts!! 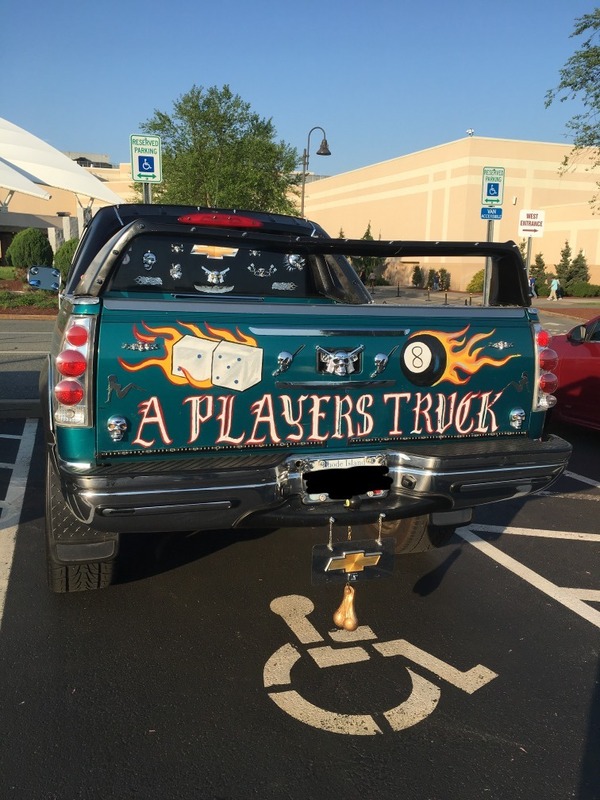 Truck Balls for the brave at heart. American Made with pride and big balls. gis for "look camo nuts"
YOU CAN CAMO YOUR NUTS YOURSELF. Look Camo Nuts!! Camoflauge Nuts for the brave men and women of this country. People in Army would just love these novelty nuts. YOU CAN CAMO YOUR NUTS YOURSELF. Look Camo Nuts!! Camoflauge Nuts for the brave men and women of this country. People in Army would just love these novelty nuts. YOU CAN CAMO YOUR NUTS YOURSELF. Look Camo Nuts!! Camoflauge Nuts for the brave men and women of this country. People in Army would just love these novelty nuts. YOU CAN CAMO YOUR NUTS YOURSELF. Look Camo Nuts!! Camoflauge Nuts for the brave men and women of this country. People in Army would just love these novelty nuts. YOU CAN CAMO YOUR NUTS YOURSELF. Look Camo Nuts!! Camoflauge Nuts for the brave men and women of this country. People in Army would just love these novelty nuts. YOU CAN CAMO YOUR NUTS YOURSELF. Look Camo Nuts!! Camoflauge Nuts for the brave men and women of this country. People in Army would just love these novelty nuts. YOU CAN CAMO YOUR NUTS YOURSELF. Look Camo Nuts!! Camoflauge Nuts for the brave men and women of this country. People in Army would just love these novelty nuts. YOU CAN CAMO YOUR NUTS YOURSELF. Look Camo Nuts!! Camoflauge Nuts for the brave men and women of this country. People in Army would just love these novelty nuts. YOU CAN CAMO YOUR NUTS YOURSELF. Look Camo Nuts!! Camoflauge Nuts for the brave men and women of this country. People in Army would just love these novelty nuts. YOU CAN CAMO YOUR NUTS YOURSELF. Look Camo Nuts!! Camoflauge Nuts for the brave men and women of this country. People in Army would just love these novelty nuts. YOU CAN CAMO YOUR NUTS YOURSELF. Look Camo Nuts!! Camoflauge Nuts for the brave men and women of this country. People in Army would just love these novelty nuts. YOU CAN CAMO YOUR NUTS YOURSELF. Look Camo Nuts!! Camoflauge Nuts for the brave men and women of this country. People in Army would just love these novelty nuts. YOU CAN CAMO YOUR NUTS YOURSELF. Look Camo Nuts!! Camoflauge Nuts for the brave men and women of this country. People in Army would just love these novelty nuts. YOU CAN CAMO YOUR NUTS YOURSELF. Look Camo Nuts!! Camoflauge Nuts for the brave men and women of this country. People in Army would just love these novelty nuts. YOU CAN CAMO YOUR NUTS YOURSELF. Look Camo Nuts!! Camoflauge Nuts for the brave men and women of this country. People in Army would just love these novelty nuts. YOU CAN CAMO YOUR NUTS YOURSELF. Look Camo Nuts!! Camoflauge Nuts for the brave men and women of this country. People in Army would just love these novelty nuts. the testes don't bother me as much as the veins. I'd hate to see what they put on their bumpers in Jasper. Camoflauge Nuts for the brave men and women of this country. People in Army would just love these novelty nuts. YOU CAN CAMO YOUR NUTS YOURSELF. Look Camo Nuts!! Camoflauge Nuts for the brave men and women of this country. People in Army would just love these novelty nuts. YOU CAN CAMO YOUR NUTS YOURSELF. Look Camo Nuts!! Camoflauge Nuts for the brave men and women of this country. People in Army would just love these novelty nuts. YOU CAN CAMO YOUR NUTS YOURSELF. Look Camo Nuts!! Camoflauge Nuts for the brave men and women of this country. People in Army would just love these novelty nuts. I tell people to rub the balls for courage when they go to court. while ilx was down i saw a truck with home-made truck balls. 2 tennis balls inside a nylon stocking. u can get nutz that light up when you hit the brakes!!!! Bumpernuts are for static display only. The end user is responsible for displaying them on moving objects. Make sure to tighten your bolts on the hanger so your nuts don't fall off. we are not responsible for stolen balls. You are responsible for how you hang your nuts, please make sure they are secure because at Bumpernuts safety is first!! It is all fun and games until someone loses their nuts!!! "that's so stupid...everything doesn't need to have balls"
I'd ask her but we changed topics a long time ago and it would be awkward to bring up again out of nowhere! Whoa, wait - it's the Chatsack! i really need to ask that .jpg one or two questions and they're not even about truckballs. Yes, people will steal your bulls balls. Theft is usually an impromptu situation, quite often a teen age neighbor. We have the ones that light up so you can have Stop, Turn and Tail lights in Your Nutz. We offer the best selection and best looking Camo nuts available! I have them hanging on a hook behind my computer to remind me of my real passion, the open road. We have Nut Sacks so you can discreetly encase and secrete your nutz! 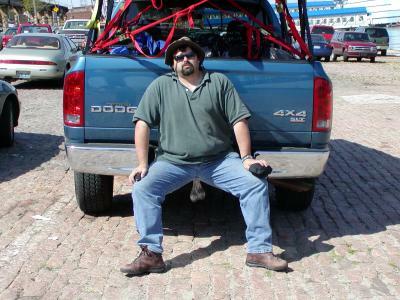 This unique method of hanging truck balls allows the balls to travel a full 180 degrees, front to back. Consequently the balls will never break off at the mounting hole when backing out of a steep driveway or dragging your balls over a high speed bump. Hi, we are one of your dealers and we donated a set of bulls balls to the high school football team for a fund raiser (silent auction) and they brought in 89 dollars! Bulls Balls, King of the Road! Bulls Balls, KING OF THE ROAD!!! My husband wanted to say Thank You. He and his friends are enjoying the novelty of bulls balls. Hahaha I know this dude, he's great.